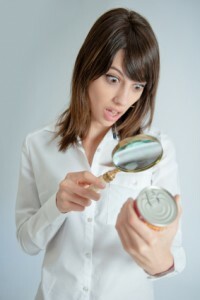 Her expressions captures my reaction when I started carefully reading food labels! The number of ingredients that I don’t recognize and couldn’t pronounce if I had to are mind-boggling. One of the best ways to safeguard our health is to be a smart consumer and read all labels. My rule of thumb — if it has more than 5 ingredients or has ingredients with long poly-syllables I don’t buy it. The next few pages contain lists of items added to food that are potentially harmful and dangerous to humans. This list is update frequently, so please check it often.